The MISS ESCC Queen is one of the many faces that represent Enterprise State Community College. She will attend functions on campus and in our community. The Queen will ride in the Enterprise and Ozark Christmas Parades. MISS ESCC holds her title for one academic school year. The MISS ESCC PAGEANT is held each year Spring Semester. The pageant is held at Enterprise State Community College in the Multi-Purpose Room. 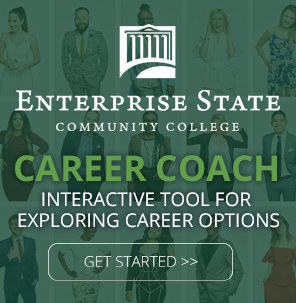 The participants can be a student at ESCC or a senior in high school planning to attend Enterprise State Community College. A Scholarship will be awarded!! !